It’s been a while since our last giveaway, so we wanted to come back in style. We received some exclusive items from our amigos at NECA and decided to share them with you. The first one out is the Elite Theron! There’s nothing quite like a toy that has the power to scare away your grandmother. 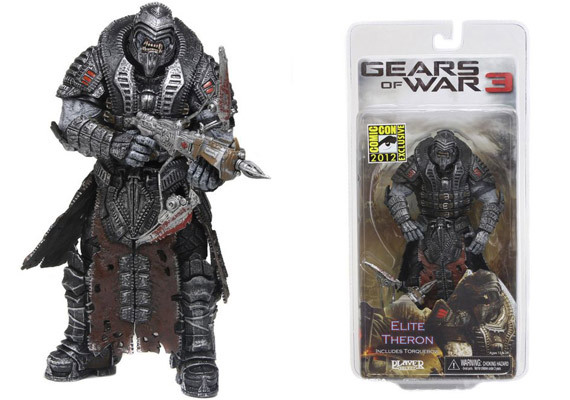 This week, we’re giving away an Elite Theron Action figure from Gears of War 3, a 2012 SDCC exclusive! They’re the rarest of the Theron and were once thought to be just a nasty rumor, but the Theron Elite serve as the direct underlings of General RAAM, who leads the Locust Horde and whose viciousness they match. Hard to kill, a workout for your Retro Lancer and terrifying to behold, this figure captures their monstrous look on a 7″ scale and has 14 points of articulation. People outside the U.S. may participate, but we can only ship prizes within the U.S.
Good luck to everyone, and please feel free to leave comments. Also, keep a look out for future giveaways! 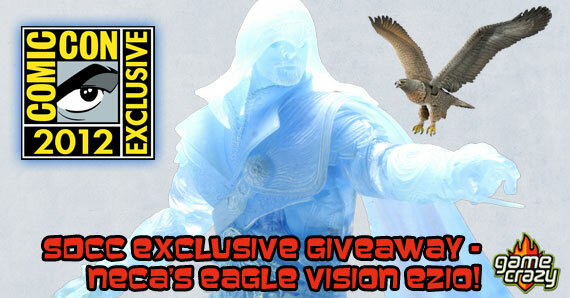 Assassins Creed Giveaway- Win a 2012 SDCC Exclusive Ezio Auditore Action Figure! 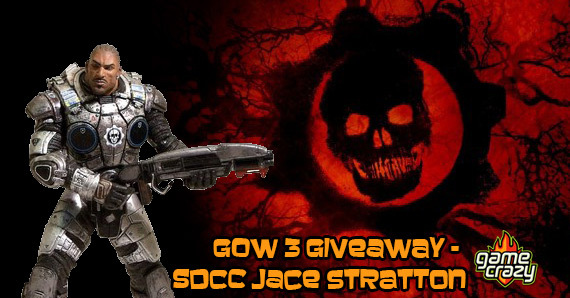 Gears of War 3 Giveaway – SDCC Exclusive Jace Stratton Action Figure Gears of War Giveaway – 2012 SDCC Exclusive NECA Gears of War Poster Street Fighter IV Action Figure Giveaway – Alternate Costume Ken & SDCC Exclusive Guile! Gears of War Action Figure & Replica COG Tags Giveaway! 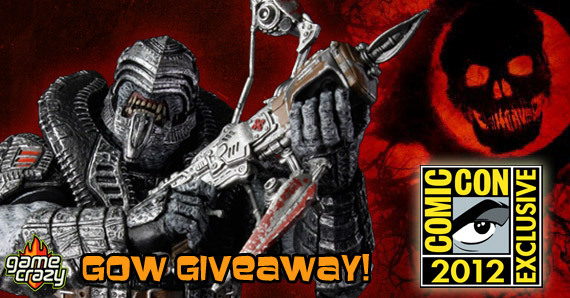 Rare Gears of War 2 Action Figure Giveaway! BioShock 2 Giveaway – Win a Big Daddy Rosie Action Figure! 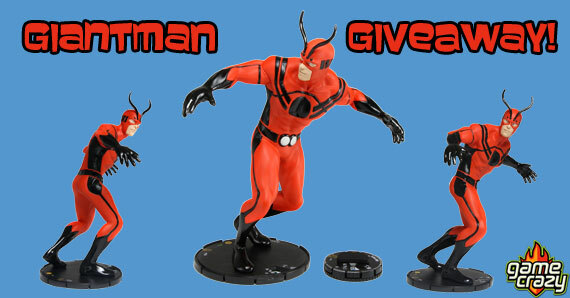 [GIVEAWAY] Marvel’s Giant-Man Heroclix – A 2012 Convention Exclusive! This entry was posted in Contests & Giveaways, The GC Blog and tagged Elite Theron Action Figure, game crazy contest, gears of war 3, NECA action figure by summerm. Bookmark the permalink.